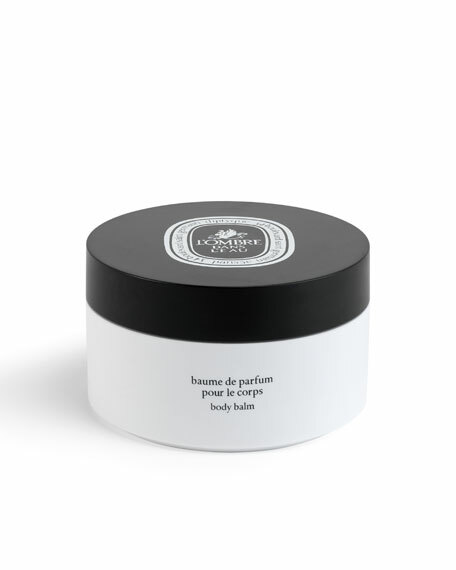 Diptyque l'Ombre Body Balm, 5.1 oz. Diptyquel'Ombre Body Balm, 5.1 oz. Once you apply the l'Ombre dans l'Eau Body balm to your skin, you immediately realize where the magic of its sensory pleasures come from. It has a velvety density, enveloping the body with softness provided by nourishing mango butter and candelilla wax and, at the same time, revealing another totally unexpected sensationan astonishing shiver of coolness on the skin. Keep your balm in a cool place to enjoy this surprising sensation each time you apply it. Darphin Organic Aromatic Purifying Balm, 0.51 oz. This organic, aromatic, smoothing, and purifying overnight treatment for face and body restores radiance as it helps reduce the appearance of skin imperfections. How to use: Follow the Aromatic Purifying Balm application with your appropriate Darphin Cream. 15 mL/ 0.5 fl. oz.